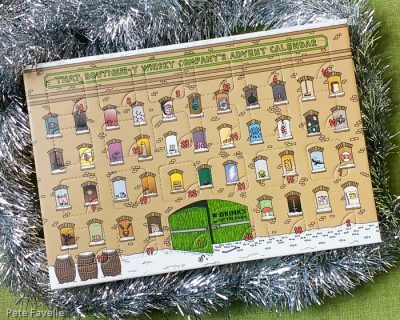 December is somehow already here, which means that once again I get to share a month of wonderful whiskies with you all, courtesy of the magnificent Advent Calendars from Master Of Malt. After last year’s bourbon-filled calendar, this year I have That Boutique-y Whisky Company’s Advent Calendar to explore. 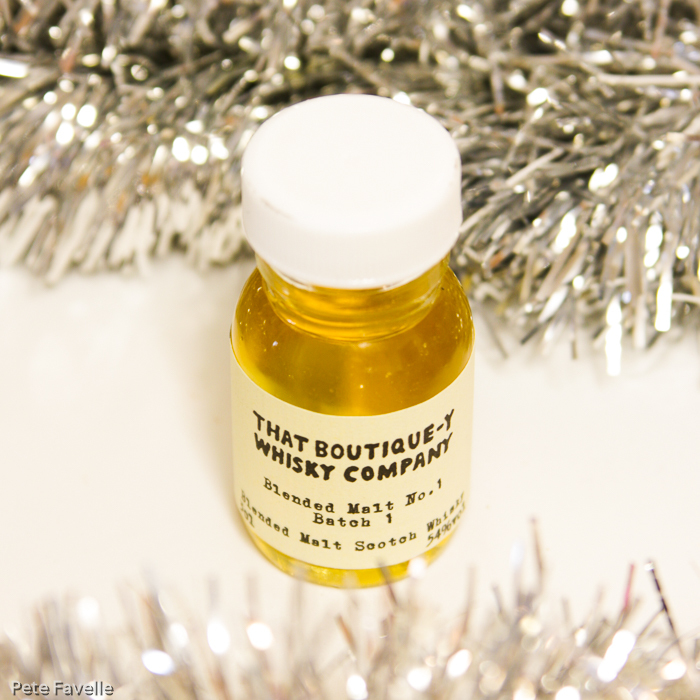 I’ve reviewed a few drams from TBWC over the years and I’ve never failed to be impressed, so the prospect of a whole month of them is mouth-watering. Blended Malt No. 1 Batch 1 (54% ABV) is where we start this year’s advent tasting. As is often the way with blended whiskies, TBWC is enigmatic about just what goes into the bottle. But they do say that the whisky is “almost entirely distilled at one of Speyside’s most legendary distilleries”, with just a splash of something else added. The nose is buttery toffee beneath a surprisingly gentle alcohol. As it sits in the glass, notes of milk chocolate covered nuts emerge along with hints of honeycomb and perhaps the smoke of a distant bonfire. Watered, the wood smoke becomes stronger and you also start to get hints of warm, malted barley. On the tongue it’s smooth and creamy – almost buttery – and the relatively high ABV starts to make itself felt. Sticky honey is slowly joined by quite a powerful peppery kick and there’s a rich, dried fruit burst in the finish – it might be the season, but I want to say dates. With a splash of water, the creamy character remains while the alcohol is knocked back to a more approachable level. It’s warming, gently honeyed with a rich spicy cinnamon dimension. The finish is more butter toffee and touches of warm oak tannins. It may be the spirit of the season getting the better of me, but this seems to be a cracking Christmas whisky. Once tamed with a splash of water, it’s sweet and easy drinking, with enough complexity to be interesting without getting out of control. A delicious 4 stars!